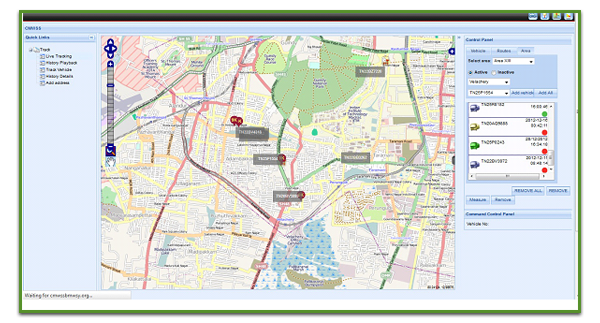 SXnavo was implemented for Offsite Real time Monitoring System (OSRT), Vehicle Tracking Solution and Grievance Redressal. Stesalit implemented the flagship product The 'Clean City System' as a fully integrated solution designed to streamline the administration of waste management and street cleaning operations. Operators will be able to see the bin location along with legendary (red as filled, green as cleaned and orange as waiting for approval), so they can easily click on the required bins and view their information and if required do their status changes for a single interface. The Bin approval system will work along with the Control Room Operators who will be constantly monitoring the request from the field officers for approvals of their bin clearance.